This entry was posted in Health & safety solutions on 2018/01/31 by Susan. “Could this have been you?” Learn about recent fatalities, injuries, and close calls in B.C. workplaces so you can prevent similar incidents from happening. 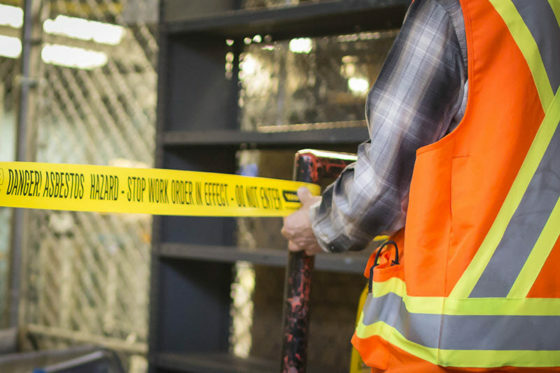 I’m one of more than 12,000 people who subscribe to an enews with summaries of recent workplace incidents reported to WorkSafeBC. Ten years ago, I signed up for this information. At that time, it was focused on the construction industry and its recent fatalities, injuries, and close calls. Today the summaries include all industries and are available in an online database. Search the database using terms relevant to your work (e.g., tractor; dough; carbon monoxide), or browse through the incidents. You can apply one or more filters – industry, topic, region, year – to narrow things down. A worker at a grain farm was conducting maintenance work inside the hopper of a roller mill while the unit was running. The worker’s fingers were caught by the infeed rollers of the roller mill. A young worker was assisting in cleanup activity on the third level of a townhouse complex under construction. The worker lifted a sheet of plywood from the floor and stepped forward into a floor opening, falling about 20 feet to the basement-level slab below. A nurse charting at a nursing station was punched and choked by a patient. When I received the latest enews, I wondered how employers used the information, so I contacted Wendy Bennett, executive director of AgSafe (the association that provides health and safety services to B.C.’s agricultural, landscaping, and allied industries). Wendy said: “Employers use the notices to build case scenarios for discussion at safety meetings and training sessions. They ask: ‘Could this have been you?’” She said employers also use the summaries for toolbox talks, joint committee discussions, and completing workplace risk assessments. Some print them out and post them on bulletin boards. The published summaries have been edited to protect workers’ privacy. And, the information is preliminary – more details may emerge when the incidents are investigated – but it’s important to warn people as soon as possible. So, go check out the database, and/or sign up for the enews if you haven’t already.